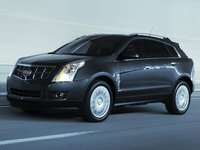 Cadillac has decided smaller is better for its 2010 SRX luxury crossover. It's based on GM’s new Theta Premium program, what it calls its Global Crossover Architecture, which also forms the backbone of GMC’s 2010 Terrain and Chevy’s 2010 Equinox. 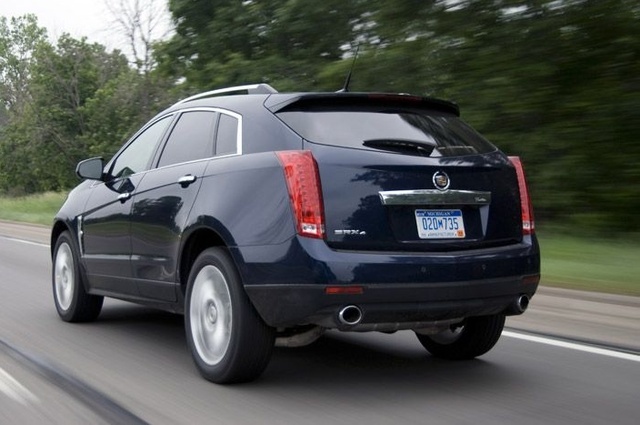 Gone in the '10 SRX are the 3.6-liter V6 and 4.6-liter V8 engines, as well as the rear-wheel drive. Gone also is the third-row seat, reducing the SRX to a five-passenger vehicle. The 2010 SRX keeps its five-door configuration, but cargo capacity is cut to 61 cubic feet (with the rear seats folded down) due to its being shortened by some 5 inches from the ’09 version, though it's now 3 inches wider. Available with either newly configured front-wheel drive (FWD) or all-wheel drive (AWD), the 2010 Cadillac SRX is leaner and meaner and remarkably maneuverable, once an unthinkable concept for a crossover. A choice of two engines will be available for the 2010 SRX. The base engine will be a 265-hp, 3.0-liter, DOHC, direct-injected V6 with a six-speed Hydramatic automatic transmission that’ll push out some 223 lb-ft of torque and get an EPA-estimated 18/24 mpg on regular gas. The 3.0-liter V8 ought to be available when the first of the 2010 SRXs are expected to be put on the market in mid-summer of ’09. Also offered in the 2010 SRX will be a 300-hp turbocharged 2.8-liter V6, paired with an Aisin Warner six-speed automatic that’ll be good for 295 lb-ft of torque using premium unleaded fuel at a 15/21 mpg clip. 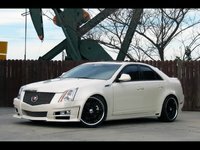 The 2.8 turbo V6 will tow 3,500 pounds when properly equipped, and according to Cadillac, will be available in late fall 2009. 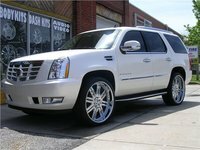 The 2010 Cadillac SRX AWD trims will be equipped with electronic limited-slip capability and a unique system in which torque can be transferred from front wheels to rear as well as transversely, along the rear axle, to each of the rear wheels. In addition to the usual leather, alloy, and simulated wood accents, leather upholstery, power accessories, dual-zone air conditioning, and OnStar communications system, the 2010 Cadillac SRX will offer such other standard amenities and appearance features as 18-inch aluminum wheels, a single-CD player, iPod connectivity, satellite radio, a universal remote, and backup sensors, while a power sunroof, backup camera system, mobile Internet connectivity, and 10-speaker Bose premium audio system are expected to be optional for the 2010 SRX 3.0-liter trims and standard on the 2.8-liter turbo trim. Standard safety features are anticipated to include four-wheel disc ABS with electronic brakeforce distribution and emergency braking assist, traction and stability control, front side-mounted airbags, front and rear head airbags, self-leveling headlights, and a remote anti-theft alarm system. Owners of the ’09 Caddy SRX were miffed about gas mileage with the now-defunct V8, as well as a lackluster interior, slow power windows, and rattles in the optional sunroof. It’s to be assumed that the re-designed 2010 SRX has addressed the rattles and cabin faux pas, while keeping the performance, style, comfort, quietness, and luxury features that drew raves in ’09. What's your take on the 2010 Cadillac SRX? Users ranked 2010 Cadillac SRX against other cars which they drove/owned. Each ranking was based on 9 categories. Here is the summary of top rankings. Have you driven a 2010 Cadillac SRX? I am very interested in a 2010 Cadillac SRX Luxury, black, excellent condition for under $10K but it has 146K miles. 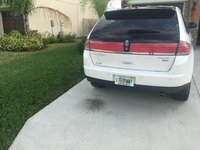 2010 SRX Heated/cooled Seat Not Working.